Had the same issue, with no real help or direction. So remove the back over, Start by removing the chrome cover it just snaps off. 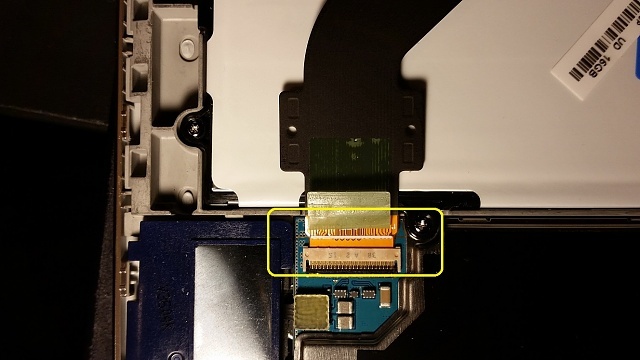 Under it remove 3 screws. Remove the PEN. Now from the hole were the pin slides in start to pop the back over by sliding plastic knife around in the gap, twisted as you go to pop up back just clips down. Now look at my pictures you will see the madness under. 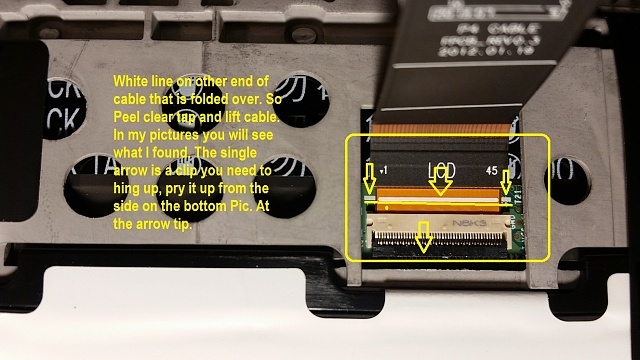 Both ends of the Ribbon cable have to be seated, look at the white line, one of the connections you can see because the cable is folded over it, hiding it. Good luck. This procedure my cause tooth decay! I had this same problem and inverting the colours on settings did not work. I took it apart by watching a youtube video and i reseated the video cable at both connectors. I turned on the tablet before I closed it up to ensure it was working and realized I needed to keep my finger on the cable where it folded back in order for it to work properly. I just wedged piece of paper there and closed up the tablet. It works fine now. Hope you have the same luck. Thank you. I had the same issue with sudden color inversion. I went to Assessability and turned off the color inversion. Changed immediately. Hey you, your the smart one!!!!!!! My tablet also did this just BC the screen to wire connection was lost. So pushed down on both sides with my fist and i t re connected them. I had the same problem. It wasn't anything in settings, it was because I dropped it. Then, the colour code was off, and the screen was static in some areas. I can't believe the answers I'm reading here. You cannot change the settings by dropping the tablet. 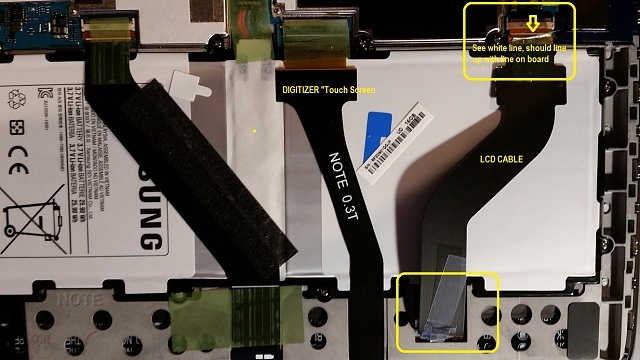 You can knock the cable lose to the LCD or damaged the LCDs like the one pictured above. I am replacing mine for the second time after dropping it. There are videos on YouTube that show exactly how to disassemble and replace it. 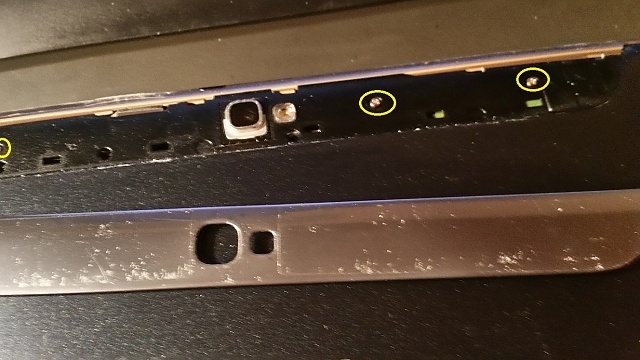 For my Galaxy 10.1 n8013 I found a new LCD for $15. I find it irritating that people that don't know the answer post the guesswork. My tab 2 10.1 fell from my bed onto the tile. The screen did not crack, but now the colors are almost all inverted or generally just messed up. I'm wondering if there is a wire or a connection possibly loose that I might be able to fix, or will I have to purchase a brand new part in order to resolve this issue? Any help will be greatly appreciated! I had the same problem and I have fixed it. 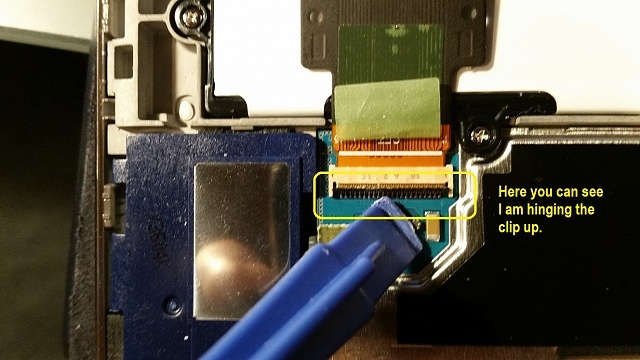 The problem is/was that during the impact the connector for the lcd was almost unplugged. Somehow it still got some signals through but became scrambled or somthing and it made the screen look like it was history. My tab GT N8000 fell from my hands in to the floor. The screen did not crack, but now the colors are almost all inverted or generally just messed up Even after I Remove the NEGATIVE COLOURS checkmark from the box. I'm wondering if any body would be helps. What a lot of unhelpful answers. Samsung answer was incomplete and not much help! then you will see a NEGATIVE COLOURS option. Remove the checkmark from the box and your problem is solved. This is not difficult to do, but the sequence is not immediately obvious. 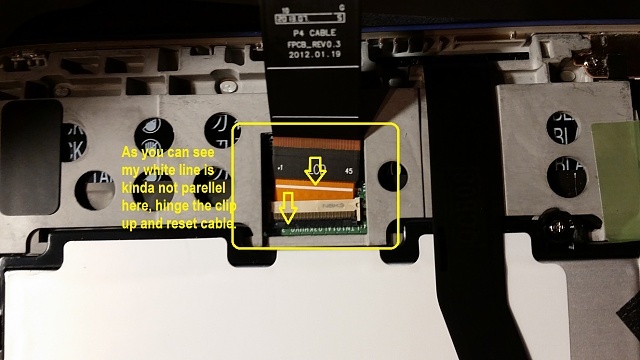 Samsung documentation is very poor, lacking in essential detail. I tried this and my screen is till all out of order. And I didn't even drtop my tablet. One minute I'm lying in bed here screen is fine. Next out of nowhere it goes all funky. I went to the settings, the inverted colors was off and when I turn it on or off the colors are still messed up. Should I send the tablet to the company or something? I have a Samsung Galaxy Tab 4. Nexus 8.9 Tablet by HTC? 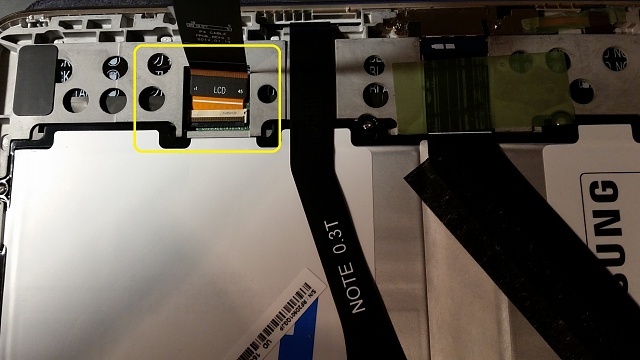 Smart dock not working with kit kat? !